I have installed a domain as a windows service. How can I confirm that it is using a Sun Java JVM instead of JRockit? 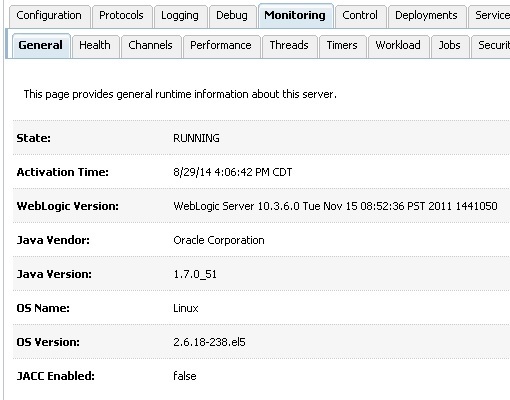 -> You can use the Admin Console to view the Java Vendor and Java Version used by WebLogic Server.